KPMG has dedicated teams that focus on individual Australian state and territory governments. For information, contact a KPMG adviser in your state. 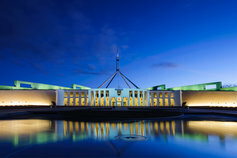 KPMG has deep experience helping the Australian Government.